The prevailing upon my family members continues; today’s gracious commentary is courtesy of another sis, Linda Lewis. Every spring, Baba’s huge-blossomed, rose-like fragrant peonies lined the south wall of their house in St. Paul, Alberta. Bouquets showed up at the front of the church and on dining room tables, along with the occasional ant trying to escape across a white table cloth - unsuccessfully! My wonderful memories of Baba include her meticulous double lot yard and garden and her love of flowers. Each spring I buy a bouquet at Trader Joe's in honor of Baba. 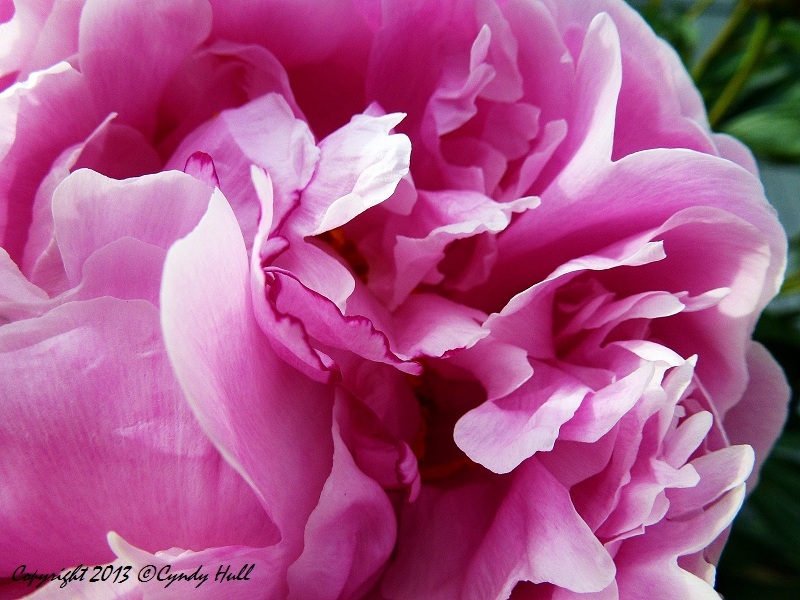 Pink peonies always make me think of that tall, shirred pink hat Baba wore for some dress-up occasions! OOO - they will be sumptious, like a deep wine velvet gown! Love the light and shadows, lighter and deeper shades on the close-up!